The most difficult challenge EMAX continually faces is to push the boundaries of what is possible and accomplish what was before deemed irrational. 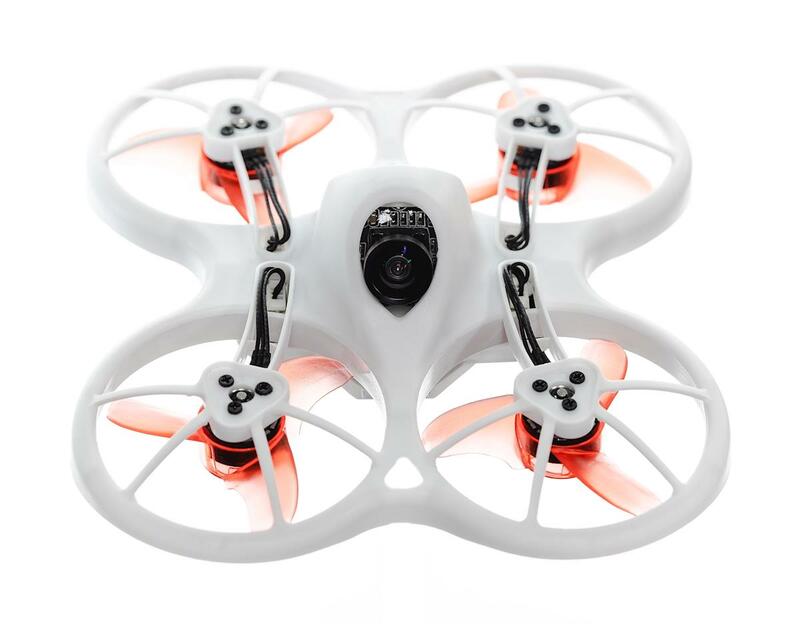 The result led to the creation of a micro indoor racing drone driven by four powerful brushless motors configured into a revolutionary aerodynamic frame design which increases durability and improves flight performance. Dismantling any conventional thinking, EMAX went back to the drawing board and created something new to reach all of its design goals with no compromise. The Tinyhawk offers incredible performance, thanks to a powerful F4 processor and ultra fast Gyro system, creating the most stable flight experience ever in a miniature racing drone the size of the palm of your hand. By creating an entirely new power system from the ground up, EMAX has achieved the perfect power to weight ratio, utilizing a lightweight micro brushless motor paired together with a state-of-the-art radical propeller design matched to the performance curve of the entire system. Integrated into the Tinyhawk is a video transmission system with a first-person-view camera, allowing the pilot to utilize a compatible Virtual Reality goggle or screen to experience a pilot's view firsthand. Every single element of the Tinyhawk has been designed for the precise purpose of increasing flight time and performance with unmatched durability. Sculptured and sleek, the frame offers a compelling form with an aerodynamic design that keeps your flights going for 4 minutes with speeds up to 56kph, giving you an edge against the competition. With a commanding silhouette and striking delineation, Tinyhawk is the authoritative statement of modern indoor racing drones. Bad esc right out of the box so it only scoots and turns off. Flite test didn't care and told me to send it to emax. I also ordered an oblivion tango package that should of took 5 days to ship, it took 10. I wish I would of ordered it from another place that had them as well. I thought I found my new fpv place, but I was wrong. Best $100 fun I've had in a while. Mine worked fine out of the box. Haven't killed it yet with many, many crashes. Hit trees, utility lines and a mailbox. Great training quad for ACRO.